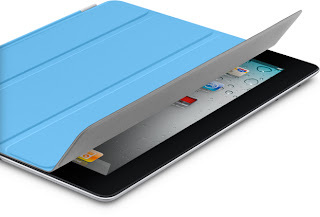 Smart covers, which attach to the iPad’s built-in magnets, are supposed to turn the tablet on automatically when you flip them open. But as dozens of iPad users in this Apple forum concurred, that was no longer the case with many smart covers on the new iPad. That seemed odd, as the new iPad is physically no different from the iPad 2 — on the surface, at least. But it turns out Apple has been messing with the polarity of its magnets under the hood. Photographer Mark Booth uncovered this when he did some experiments with magnets, iPads and a couple of smart covers. You can see the results in a video on Booth’s blog. “The iPad 2′s sleep/wake sensor wasn’t polarity specific,” Booth explains. And that apparently led to an issue for iPad 2 users who flipped their smart covers around so that they sat flush with the back of the tablet — an everyday act that could cause the iPad 2 to switch off unintentionally.So it seems the new iPad’s sleep/wake sensor does require a specific polarity. But in fixing one issue, Apple appears to have caused another for users who want to use their old smart covers with their new tablets. Booth theorizes that Apple quietly made the polarity change in their smart covers at some point in 2011, since newer Apple-made smart covers do seem to work with the new iPad. If you got yours for the holidays, there’s a good chance you won’t see a problem. If your smart cover hails from early 2011, try taking it back to the Apple store; Booth says he’s hearing from users that the store will exchange old smart covers for new ones.